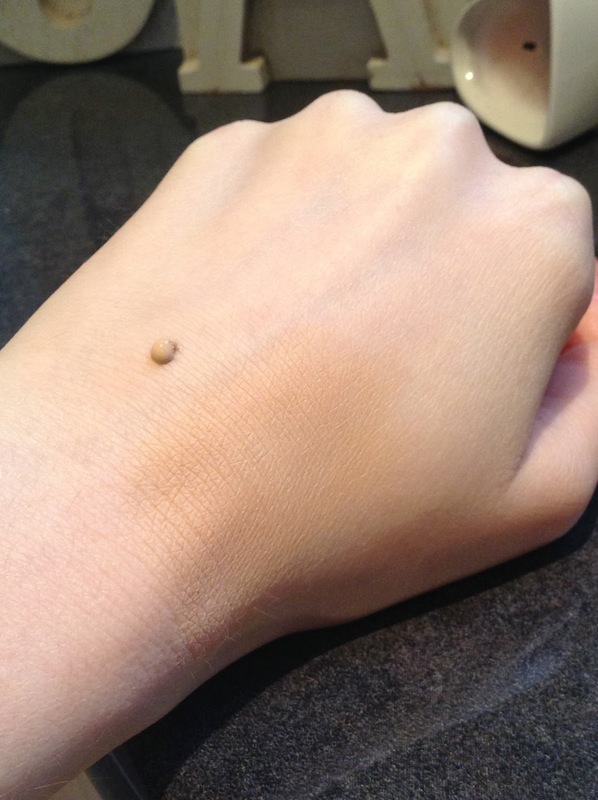 I've been on the hunt for an evening or special occasion foundation for a while, but having a circle of friends that religiously use MAC it's taken me quite a while to find the perfect one. As you all know from my previous post I am No7 'Beautifully Matte' foundation's biggest fan, but I wanted to slap something different on my face for a night out. I know, I know I'm weird! After reading and watching countless reviews I was lead to the Laura Mercier counter. If you have fair skin like me you need to get yourself to the nearest Laura Mercier count now! I was so impressed with the amount of choice they have to offer us fair maidens. I got matched to the shade 'Blush Ivory', which is one of the lighter shades, not the lightest I might add! I initially loved the packaging, with its gorgeous frost glass bottle and included pump, but then I soon realised there could be a lot of waste from this product when the pump stops sucking up the foundation and I've got to smack it out on the back of my hand. Ahh well nothings perfect. I've worn this foundation many times, from a quiet meal out to a 7 hour night out dancing with my friends, and it's yet to let me down. Its quite a thick formula which initially put me off because I thought it would be too heavy for my combination skin, but it feels like a second skin. When a translucent powder is applied its set for the night, I required no touch ups, even around my nose, the third time I wore this foundation I didn't slip my powder compact into my bag...I did however fill this space with 2 additional lipsticks, girl logic at its best. I still use my beloved Real Techniques buffing brush for application, it does require a bit of extra buffing due to the thickness of the formula, but once buffed to perfection it looks and feels like a second skin. Ahh the price, I did what I usually do, become attached to the product before finding out the price, needless to say I was slightly taken aback at the cost, its defiantly the priciest foundation I've ever bought. This cute frosted beauty set me back £33.00, but considering how much I've grown to love this product it was money well spent. Let me know if you've tried this foundation before, what were your thoughts? I'm wanting to expand my foundation collection so I have more options to choose from so if you have combination skin and have a foundation you cannot live without let me know.